NMC Trading, a division of the Abu Dhabi-based NMC Healthcare, has joined forces with Radikal, a leading Indian exporter of food products, to introduce its Basmati rice brand into the UAE market. 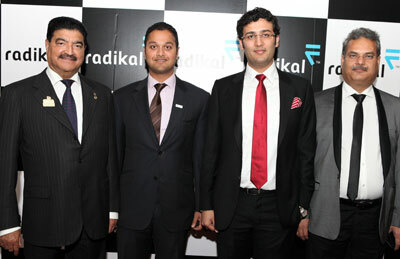 The Radikal brand was unveiled at a high-profile event held in Dubai’s prestigious Armani Hotel, by Dr BR Shetty, the CEO of NMC Healthcare, Siddharth Chaudhary, the managing director of Radikal and Binay Shetty, the chief operating officer of NMC Healthcare. The NMC deal is part of Radikal’s ambitious expansion strategy to reach 65 countries by end-2013, said Chaudhary. "Radikal’s entry into the UAE further consolidates India’s position as the world’s leading exporter of basmati rice, accounting for over 60 per cent of the world’s exports,"he noted. Chaudhary said, “This is a time of unprecedented growth for Radikal and for basmati rice manufacturers in India. We are among the leading food manufacturers in the domestic Indian market and have successfully taken the Radikal experience to many more countries, including Europe, North America and Africa." "In less than four years, Radikal has reached over 30 countries and we aim to increase that number to 65 by end-2013," he added. Dr BR Shetty said, “NMC Trading has always been synonymous with quality and healthy products and Radikal has a strong track record of providing consumers with the products they need to achieve and maintain a healthy lifestyle." "By adding the Radikal food products to our extensive portfolio, we are exceeding consumer expectations of more balanced and healthy food," he added.